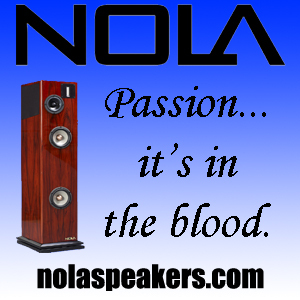 More audiophiles these days are embracing the pleasures of headphone listening. 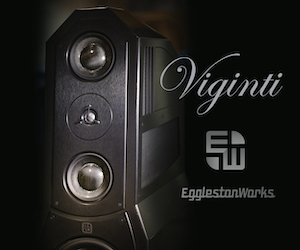 There’s an ever-growing selection to choose from, but enthusiasts soon learn that a key factor in achieving the ultimate sound quality from their cans rests with the dedicated amplifier they choose. Having spent time with dozens of headphone amps over the last couple of years, I have some observations that I feel are worth sharing. First, what is it that makes an amplifier compelling? The sound it produces is critical, of course, but what are we really shooting for? Accuracy? Sweetness? Drive? There’s more than one aspect to focus on. How about what I’ll refer to as the non-sonic aspects? Things like features, aesthetics, reliability and the ever-important price tag? 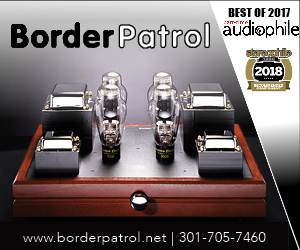 Any audiophile who has ever shopped for an amplifier for his or her traditional listening-room system already has the tools to evaluate headphone amps. There may be slightly fewer can-dedicated units out there to audition, but the selection still seems overwhelming. So, where to start? A patient approach is best. Be prepared for some disappointment. Frankly, some of the units out there just aren’t very good. They look fine at first glance and maybe even seem decent from a technical perspective, yet the sound quality just isn’t there. This should come as no surprise, as the same holds true for speaker amps. My next suggestion is to spend some time thinking about your budget and your long-term goals. If you have sufficient cash to spend now on a decent lower-cost amplifier, but have big plans to own some really high-end headphones in the near future, it might be wise to hold off on that amp purchase. Splurging on some premium cans, but trying to cheap out on the amp is a recipe for frustration. You’ll never hear everything you paid for when you stepped up for those headphones. If spending a bit more will get you something that serves you better for a lot longer, isn’t it worth the wait? You don’t have to drain your 401(k), though. What do I mean by “spending a bit more?” What I’m recommending here is to explore the mid-price segment of the market — amps roughly in the $700 to $1,200 range. This is the sweet spot where designers can spend more time on R&D, boost parts quality and better control production standards, but still stop short of “statement” excess. With careful headphone matching, products in this range can far outperform the low-end stuff and sometimes even beat higher-priced models where the bells and whistles may exceed the real sonic gains. One company newly and firmly planted on my value-radar is Cayin. The Chinese company has a new headphone amp, the $999 HA-1A MK2, that could be the solution to your mid-price dreams. But first, the backstory. Zhuhai Spark Electronic Equipment Co. Ltd., which markets products under the Cayin brand, specializes in solid gear that falls right into the value category. Yet, its offerings perform better than you’d expect for the money. I first covered its excellent N6 portable player here, and more recently enjoyed the company’s latest headphone amp and DAC stack here. I use the iDAC-6 and iHA-6 headphone amp ($999 each) as my “affordable” reference, since they compete quite well against others costing double or even triple the price. It’s the kind of setup where, yes, I can point you toward better gear, but it will cost a small fortune and you won’t notice much difference unless you have correspondingly high-end headphones/speakers and only play excellent recordings. For many of people and listening situations, something like the Cayin stack makes an awful lot of sense. 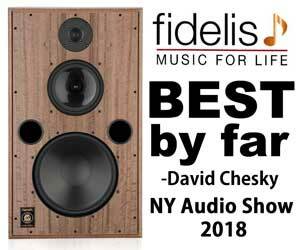 I’ll spare you the company history as I already covered that in my InnerFidelity reviews — you did read them, didn’t you? I’ll assume you did, so you already know about Cayin’s classic HA-1A tube headphone amp. Technically it was a speaker amp, too, though hardly anyone seemed to use that function — after all, there aren’t many speakers out there happily driven with 1.2 watts per channel. Most of us just remember the HA-1A as an enjoyable headphone amp. With a rich, tuneful valve sound that didn’t go overboard into mushy tube bloom, the HA-1A stood out in a field of forward-sounding solid-state designs shooting for brutal accuracy. If your point of reference involved listening via the headphone jack on your new-at-the-time Benchmark DAC 1, the HA-1A was quite simply a revelation in musicality. 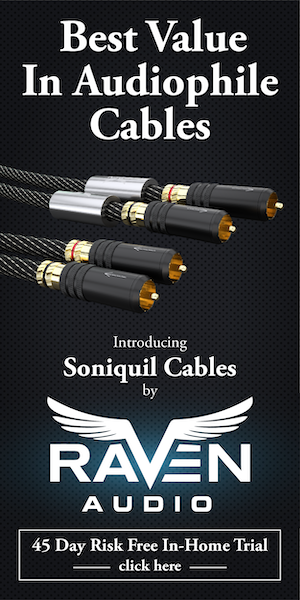 Regardless, a decade on the market is a long time in the audio world, and Cayin figured it was time for a new model. Its new iHA-6 is an excellent solid-state amp with a transparent (not to be confused with obnoxiously bright) sound and gobs of power, but the model doesn’t really carry the torch from the luscious HA-1A. So Cayin came up with a worthy successor and dubbed it the HA-1A MK2. As you will see in the rest of this review, the company seems to have hit the bullseye with this one. Ok, no points for originality on the HA-1A MK2’s name, but it definitely gives us a clue as to what the amp is shooting for. This time around, Cayin ditches those not-so-useful speaker outs and focuses on driving headphones, though two-source preamp functionality is double what the original had. As a single-ended amp, this is strictly an RCA-only affair, unlike the fully balanced iHA-6/iDAC-6 set. The HA-1A MK2 shares a similar outward appearance with the original, though it’s managed to go from what I’d call “industrial” design to decidedly classy thanks to the addition of wood panels on the sides. Take a look at the pictures and see what I mean; it’s a unique and really great-looking amp, which probably won’t match a single thing in your audio rack. Nor will you care much about that once you see it in person. The wood panels are very well done. Speaking of audio racks, at 8.5 inches tall, this thing won’t fit where most other headphone amps live, so be prepared for that. In my case, that meant top rack only, since I configure my adjustable Salamander Designs unit deliberately for smallish headphone amps, music streamers and DACs. Which is fine, as this amp has venting above the tubes and you would be wise to give it some room. This 20-pound-plus beast is well done on the inside, too. 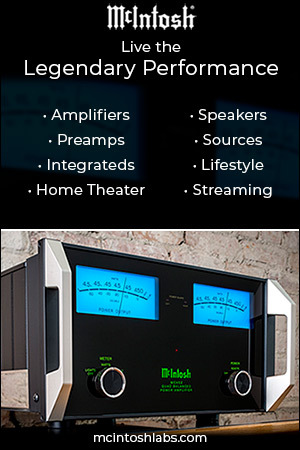 It differs from the original in that it uses a pair of 12AU7s for input tubes, while the choice of EL84 for output tubes remain. Tube voltage regulation is the order of the day on the MK2, with the not-all-that-commonly-seen 12DT5 being used. 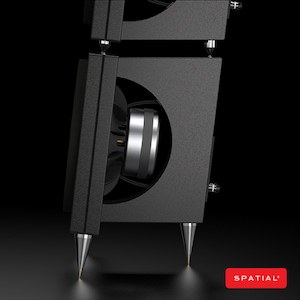 The entire design has been worked over with an eye (and ear) towards superior sound. Signal-to-noise ratio is up from 88dB to 100dB which, on paper at least, shows the improvements to be successful. The power supply, in particular, has been beefed up substantially which allows for greater drive. Maximum output is 2200mW which is nearly double what the original could muster. That’s into a 600 ohm load, while 32 ohm headphones see 1400mW and it generally climbs from there as headphone impedance increases. Bottom line, this thing can drive most any headphone (short of the stubborn HiFiMAN HE-6 or classic AKG K1000) to obscene levels with plenty of authority. One small — yet potentially significant — omission: The MK2 no longer features the rear-panel switch for moving between triode and ultralinear modes. This model strictly operates in ultralinear, which I find interesting. The “typical” audiophile attitude says triode operation would be ideal every time, yet a lack of power sometimes calls for switching to ultralinear for more juice. Headphone amps don’t need a ton of power, so the choice is obvious, right? I asked about this and was told the designer ended up preferring ultralinear mode to the point where he decided to use it exclusively. Triode-strapping the tubes resulted in a “sweeter” sound, while sacrificing soundstage and giving a somewhat unnatural feel. Thus ultralinear was deemed better. I do recall having a clear preference for ultralinear mode on the Cayin A55-T integrated I used to own. I’ve also seen similar reports from other Cayin reviews so I’m certainly not unique in this. A quick note about output impedance: The HA-1A MK2 has selectable settings (via multiple taps on the transformer) resulting in an output impedance of 32, 64, 150, 300 or 600 ohms. Conventional wisdom tells us these are all higher than optimum, with the ideal being as close to 0 ohms as possible (a minimum of 3 or 4 Ohms is probably the lowest you can get in real life). There are, however, some alternative theories on output impedance which suggest a low-Z output may not always be the most desirable. My personal view? I still want near-zero-ohm output from a solid state amp, but I don’t mind a higher value in a tube amp — as long as it’s not obscenely high. My justification is that tube amps generally aren’t shooting for a perfectly neutral, linear response, anyway. If I wanted that, I’d go solid state all the way. With tube amps I’m chasing a more musical presentation, a sort of beautification filter, if that makes sense. Not a completely wild coloration, but certainly a rose-tinted view on things. To that end, I’m fine with the 32-ohm option. The higher settings are fun to play with once in a while, but in the end I prefer 32 ohms at least nine times out of 10. Also worth mentioning is the fact that this amp has two headphone jacks. The left side is considered a baseline while the right side has some tweaks in the circuit resulting in what I’ll call a “softer” presentation. I could see it being useful once in a while when listening to bright recordings on specific headphones. Personally I used the left-side jack almost exclusively, although I appreciate having options nonetheless. Tube amps live or die by the quality of their output transformers (unless we’re talking OTL designs, of course). I wouldn’t expect Cayin to cram premium Lundahl or Cinemag pieces in there while maintaining that $999 sticker. 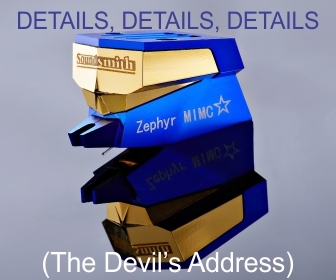 Cayin’s compromise is to source its own EI core output transformers using Z11 grade silicon steel and a proprietary layered winding configuration. The EI core power transformer is of similar construction, with Cayin describing it as a “large-capacity, low-leakage design.” The goal here is competent — if not exotic — components in a well-thought-out design, making the most of available resources while keeping that reasonable price intact. My review unit arrived with the standard complement of tubes. 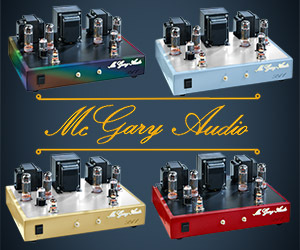 Anyone who’s purchased tube gear of their own knows the stock glass usually isn’t anything to write home about, and buying something better is essentially a required additional expense if you want to get the most out of your new toy. In this case there’s some good news and some bad news. On the plus side, the bundled voltage regulation tube is a NOS Tung-Sol 12DT5. I’m not super familiar with this tube and browsing the usual sources doesn’t turn up any expensive alternatives, so I’m going to assume Cayin had its pick of options and found the Tung Sol ideal. Fair enough, that one stays as far as I’m concerned. Next up, the Electro Harmonix EL84 valves. As new-production tubes go, these are quite good, and I wouldn’t expect Cayin to spring for really nice matched pairs of EL84s, anyway. That’s just not feasible given how quickly prices can rise for those particular tubes. But for modern options, I think this is a great choice: smooth, warm, somewhat forgiving, with great tone and lots of body. Unless something has changed recently, New Sensor of Russia still makes these in their Reflektor plant along with various others branded as Genelex, Mullard, Sovtek, Svetlana, etc. They basically bought up many of the old brand names for their reputation in audiophile and guitar amp circles, and the reissues don’t have all that much in common with the originals. Despite the fact that all are made in the same factory, these tubes aren’t identical sounding. 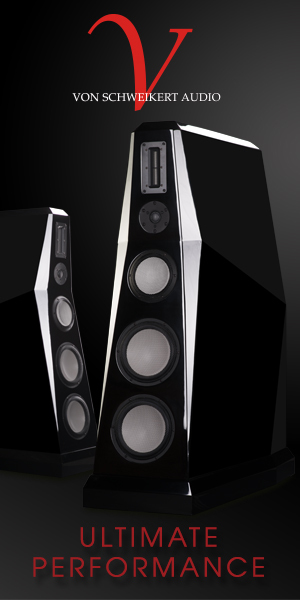 Indeed, differences can be fairly obvious, up to and including physically larger dimensions for the EH-branded EL84. I’ll get more into tube rolling soon enough, but for now I’ll just say these are a solid choice. Now for some bad news: the Cayin-branded 12AU7 input tubes aren’t great. I wouldn’t call them terrible, and I’ve definitely heard worse from stock glass, but swapping them out should still be your first order of business. Even a basic unmatched pair of JJ ECC82’s (interchangeable with 12AU7) gave me a lower noise floor and superior sonics, and I think I paid $12 for the pair. I assume Cayin had its tubes made/branded by the thousands, so cost was likely very low, but that shouldn’t automatically disqualify them from sounding decent. This is probably my single biggest complaint about the HA-1A MK2. I dunno, perhaps I just got a bad set in my review unit, though I doubt it since they “functioned” just fine. Keep in mind, this complaint applies to a wide range of tube gear on the market. I don’t mean to single Cayin out. Stock tubes are often this way. In fact, it’s the relatively high quality of the other included tubes which makes these stand out as being disappointing. After some time spent burning in and warming up, I threw the amp into my existing Cayin rig in the bedroom to see how well it did. Remember, this was stock tubes just to establish a baseline. The setup consists of a CablePro Revelation power strip, Cabledyne Silver Reference interconnects/digital/AC cables, and the Cayin iDAC-6/iHA-6 combo. Sources are USB via MacBook Air running Audirvana+ and a HiFiMAN HM-901S with matching Dock-1 for coaxial digital extraction. Headphones include Sennheiser HD800, HiFiMAN HE1000, ENIGMAcoustics Dharma, Audeze LCD-3, AKG K812 and Astell&Kern AKT5P. That’s a thorough mix of planar and dynamic models, having various sensitivities, with low and high impedance loads all being represented. For those of you who don’t want to hear the excruciating details, skip the rest of this paragraph. Those of you who care about such things will note: I connected the HA-1A MK2 to the iDAC-6 via RCA, which allowed me to keep the solid-state iHA-6 in play at the same time via XLR. 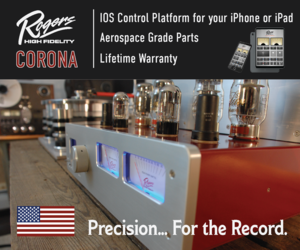 The DAC has a tube buffer which is defeatable on the RCA outs but always active for XLR. I kept it selected in order to even the playing field for both amps. Of the five digital filters on board, I used the proprietary AKM “super slow roll-off” filter which sounds the most natural and lifelike to my ears. Levels were matched as closely as possible using my trusty Radio Shack SPL meter. It was truly as fair a comparison as I could make it. First impressions were with the Audeze LCD-3. And they weren’t exactly pretty. Cayin’s solid-state dynamo sounded tremendous with the former top-model from Audeze. Thunderous dynamics and very well-defined drum impact kept me glued to my seat as I listened to the rhythmically complex Spirit of the Sun by Kyoto Jazz Massive. Same goes for the 24/96 release of Hiromi’s Spark as well as Traffic by CBW (also in hi-res). The HA-1A MK2, in contrast, was not nearly as dynamically alive. 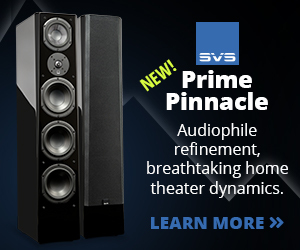 I admit to hearing satisfyingly deep bass extension, but everything seemed a bit rounded. Transient attack was soft — smoothed over to the point of not really sounding convincing — and the midrange seemed “off” for some reason. On top of all that, the lower treble sounded particularly muffled, and the LCD-3 is not a headphone that can handle losing much treble performance. No, the result was not impressive in this case, but I’ll come back to it later. Switching to Sennheiser’s highly revealing HD800 proved a far better match. Now this is what I had been hoping for. Beautiful, wide-open midrange, smooth upper mids and highs, and a somewhat full-bodied tone which isn’t naturally present on the clinical HD800. Would I call it “dark”? Maybe a tad, as there was certainly some detail being thrown out in the name of treble-taming. Overall, I found it an acceptable trade-off. This was a fun sound that I believe would endear many of the folks I know who love the HD800’s technical ability, but ultimately reject its sterile approach. The iHA-6 did an excellent job as well but it was a totally different animal. If the Sennheiser’s peaky top end is not to your liking, the tube amp would be a far better choice, even at the cost of some ultimate resolution. HiFiMAN’s HE1000 was next up, and did not disappoint. Despite being less potent than Cayin’s solid-state offering, a healthy 1400mW per channel from the tube amp is nothing to sneeze at. And it showed in the authoritative sound produced by the HA-1A MK2. Again, the resulting presentation was smoother and more laid-back than usual, with a definite focus on rhythm and drive over detail. Not to say detail was completely lacking, but it clearly wasn’t the main focus. I was particularly drawn to the layering of the soundstage on this pairing. Typically I find a darker sound to be less spacious, but in this case the opposite was true, with the tube amp sounding more open than its brighter solid-state sibling. 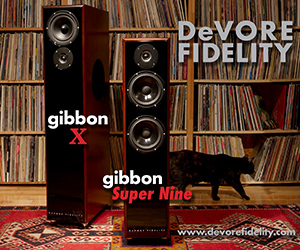 Overall a very worthy performance, proving tube amps and planar magnetic headphones can in fact get along well. The Enigmacoustic Dharma is a very interesting headphone. As a hybrid electret/dynamic design, it crams two totally different drivers into each earcup, and the result is surprisingly coherent. 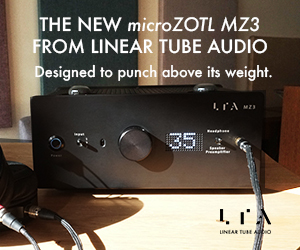 Unfortunately, it also has a wacky impedance curve which will certainly interact with amplifiers that have even moderately high output impedance. The HA-1A MK2 paired surprisingly well on this headphone. I was worried the low impedance of the Dharma (it dips to 15 ohms at some frequencies) would prove troublesome, and it just wasn’t obvious to the extent I had anticipated. The only real issues to speak of: I did notice a bit of looseness, almost a “shouty” feeling, around the 3kHz region, which occasionally became bothersome. Combined with what sounds like a sharp spike around 5kHz, this is not my favorite combo on which to listen to Tiger Okoshi’s brilliant trumpet, to name just one example. Aside from that I found this pairing very enticing. The “plink” of Tsuyoshi Yamamoto’s piano on my SACD rip of Midnight Sugar had the perfect amount of bite, and Lorna Hunt’s vocals were sweet and intimate on the DVD-A release of All in One Day. It was a surprise that this combo worked as well as it did. Lastly, the AKT5P from Astell&Kern, a cleverly tweaked rebrand of the beyerdynamic T5p which transcends its origins by leaps and bounds (review also forthcoming). It’s a low-impedance headphone, and extremely sensitive, making it not an ideal candidate for a powerful tube amp in the first place. Plugging it in showed immediate hiss to the point of being obnoxious during quiet passages. Classical and quiet singer/songwriter stuff was off-limits as I’m easily annoyed by hiss, though I know others who don’t seem to mind as much. If I listen to busy rock or metal at higher volumes it worked out pretty well as far as sound signature, though again the sensitivity meant very little travel on the volume knob. Ultimately I’d still call this a poor match — one that I didn’t spend a whole lot of time on, which is probably representative of other highly-sensitive headphones as well. The gain on this amp could stand to be a little lower, so I often find myself applying a bit of volume trim using my DAC. Most better DACs these days can stand to chop out five or 10 decibels without obvious impact to the sound. Doing this with the Cayin DAC helps the AKT5P work better, but this amp still is not ideal for sensitive headphones. Thus far we’ve got what seems like a very capable amp. The HA-1A MK2 is beautifully designed and built, with a sweet, somewhat warm tone to match the stately looks. It isn’t a “universal” amp in that it won’t pair well with every single headphone you throw at it. Yet when a good match is found, the result is simply beautiful, arguably preferable to its solid-state cousin the iHA-6 (which is saying a lot). I’d call it a solid value — and certainly competitive at its price point — but we’re just getting started. This amp is extremely dependent on tube choice. Far more than many other tube amps I’ve had in my system. The Apex Peak (ok, it’s a tube hybrid, but still) sounds great on the stock tube, and rolling only imparts a somewhat mild flavoring, chiefly in the midrange. Ditto the Icon Audio HP8, which is perhaps more variable while still maintaining a general “core” sound signature regardless of tube choice. The Cayin is altogether different, and will greatly reward better tubes being thrown in the mix. Swapping out the glass brings it to a whole new level. 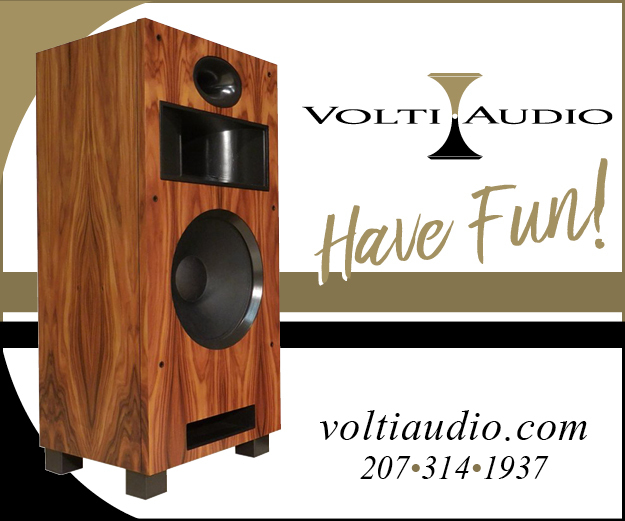 Where before it was a capable amp, it now becomes an exceptional performer, highly competitive in its class and well beyond. When it comes to valve choices, one must be clear not to conflate “more expensive” with “better.” Surely some excellent glass is indeed very pricey, and of course cheap tubes will often be forgettable. I’m just not convinced there’s a linear price/performance relationship on these things. It also helps that the tube complement here is on the sanely priced side. Spending $100 to $200 for a matched pair brings all kinds of excellent choices in the 12AU7 and EL84 families. You can spend more on some rarity if you must. Personally, I have not felt a desire to do so, as I’m having so much fun trying the more reasonable options. To that end, I trotted out my collection: various NOS Mullard, Telefunken, RCA, Raytheon, Tesla, GE, Sylvania and on and on. It would be silly to describe the sound of each as there are so many variations to be found. Also, tubes which perform a certain way in one amp may give different results in another design. That’s why I find it somewhat futile to make claims such as “tube X is brighter than yube Y,” as that may not always be the case. So I’ll just say that by mixing and matching different input and power valve combos in this amp, wildly varying results can be achieved. Remember the poor match driving my LCD-3? I solved that with a set of old RCA 6211 gold-pin tall plates paired with vintage “Silvertone” badged RCA EL84 black plates with the halo getters. This cleaned up the muddy bass and overall “rounding” of transients, significantly opened up the treble and sounded generally more transparent all around. Not to be confused with the neutral, straightforward sound of the Cayin iHA-6, I could definitely still pick up on some euphonic warmth — and I loved it. This combo was excellent for my LCD-2 as well, and sounded remarkable with my old Sennheiser HD650. I’m continually impressed with how high the relatively affordable HD650 can scale with quality amplification. If I switched to my HiFiMAN HE-500 or HE-1000, the result was less impressive with these tubes. Still better than stock, and still highly competent, just not the ideal match compared to others I tried. With these I found a few enjoyable matches. My favorite was some NOS Tung-Sol ECC82s with the black glass paired with an old pair of “Zenith”-branded black plate 6BQ5s of questionable origin. I believe them to be made by Sylvania in the late 1960s but I’m not sure. I picked them up in a large mixed batch and they tested well so I didn’t investigate further. Whatever they are, the performance here is quick, clean and very open sounding. Soundstaging is never as good on planar magnetic headphones compared with the best dynamic designs but this tube selection makes the most of HiFiMAN’s strenghs. The resulting presentation reminds me of the previously mentioned Apex Peak hybrid amp, combined with its Volcano linear power supply. That’s a huge compliment considering the Peak/Volcano sold for more than twice as much and was designed by the legendary Pete Millett. Not bad company to be in. I’m not going to ramble on and on about my various results other than to say I settled on some Amperex Bugle Boy 12AU7s with the narrow long plates (which I scored for $150/pair not long ago), teamed with Hammond-branded Amperex 6BQ5s from Holland — readily available in matched NOS pairs for under $100. This combo ended up as my go-to for general use. Interestingly, this setup brought me full circle back to the stock tubes in that it maintained a more warm, “tubey” sound than either of the previously mentioned configurations. So apart from the Audeze and HiFiMAN examples which those tubes pair best with, this Amperex combo has the most universal appeal of any tubes I tried. It pairs exceptionally well with the Sennheiser HD800, beyerdynamic T1, HiFiMAN HE-560, Audio Technica W5000 and AKGK812 to name just a few. I especially enjoyed the higher impedance models and I’d say this headphone amp is particularly well-suited for those, though many lower-impedance models are fine as well. Looking back to the attributes mentioned in my opening paragraph, the Cayin HA-1A MK2 is very compelling indeed. It’s a well-done, aesthetically pleasing, beautiful-sounding amp which can be tweaked via tube rolling to sound sweet or warm or spacious or whatever the user wants, within reason. At $999, I feel it hits that sweet spot in terms of value. You can do better, sure, but it will cost you, and for a lot of people, that extra cost just doesn’t make sense. As fun as it can be to roll various tubes, this amp really only needs a modest $20 to $30 investment to start out with, replacing those thoroughly mediocre 12AU7s. Down the line, there are adventures to be had, which can be done without taking out a second mortgage. Even an HA-1A MK2 loaded with excellent glass remains in “mid-priced” territory. Regardless of tube choice, this amp won’t ever sound quite like the solid-state Cayin iHA-6. And for users chasing a supremely neutral sound with balanced connection and power to spare, that model is where you should focus your attention. If your taste leans toward musicality — the potential to make everything you play sound perhaps more beautiful than it should — the HA-1A MK2 is your huckleberry. 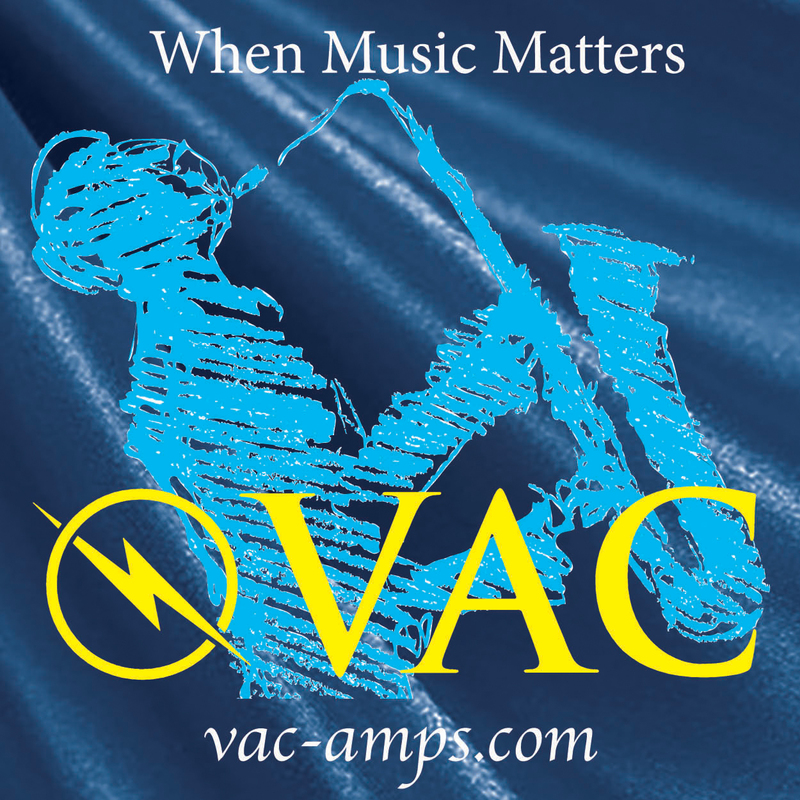 Does impedance selector knob make you select output impedance or headphone impedance range? Although you clearly said it is output impedance headphone impedance range makes more sense to me. can you talk more about singxer su1 . do you think dac like hugo tt or mojo will benefit from it ? what’s the fav. tube amp foro both beyer t1 and he 1000 ? I reviewed the Singxer over at HeadFi not long ago. Search HeadFi Singxer SU-1 and it should come up. Haven’t had a chance to try it with the Chord stuff though, sorry. It improves many devices but not all of them. Also, keep in mind your source matters, not just the DAC on the receiving end. If you’ve got a high end music streamer/server with clean power and dedicated audio-oriented USB out, the SU-1 is less likely to be a factor as compared to something simple like a desktop PC or MacBook. As for the T1 and HE1000, the Cayin HA-1A mk2 is definitely my favorite for those two. 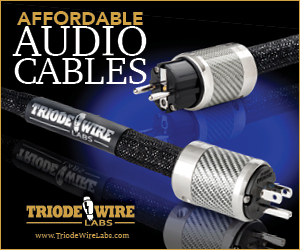 With the right tubes it does high impedance dynamic headphones and low impedance, current hungry planars very well.